The Misfit Shine 2 is the second generation of activity tracking armband by Misfit. Dicover Keep for iOS, Google's powerful note taking app that finally comes to the App Store for all iPhone, iPad, and iPod Touch running iOS 8 or iOS 9. This summer, ProCamera is coming in a new updated version that brings a whole load of new features starting with new photo retouching and editing features, and much more. 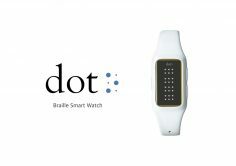 The Dot is a curious smartwatch that has no LCD nor OLED screen but instead erectile bits that simulate a Braille reader.Dot is the first smartwatch for blind or visually impaired people. Spinali Design is a new French brand of woman swimsuit. What makes them special? They are connected and smart. And they are the very first ones. They monitor your exposure to UV. 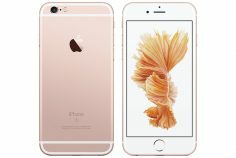 The Stylograph is ball pen in a beautiful copper body that is smart and connected to your iPhone with which you can synchronize the notes you are taking, the drawings you are making by hand with the Stylographe thanks to the Stylograph dedicated notebook.